Collingwood Community Hospice was incorporated October 2, 1987, with Rev. Richard Newland, Registered Nurses Joan Paul, Pam Lewis, Rebecca Wall and Occupational Therapist, Eve Harrigan. Dr. Anne Engell joined the hospice shortly after its incorporation as did Nancy Franks and Susie Newton. In 1987 the hospice office was located at 9 Ontario Street, moving in 1992 to 10 Third Street in the basement of Dr. Savage’s office. On January 1, 1998, the office moved to 49 Raglan Street. As the organization and community awareness grew, the Board of Directors decided a change of name was necessary to better reflect the area we served. 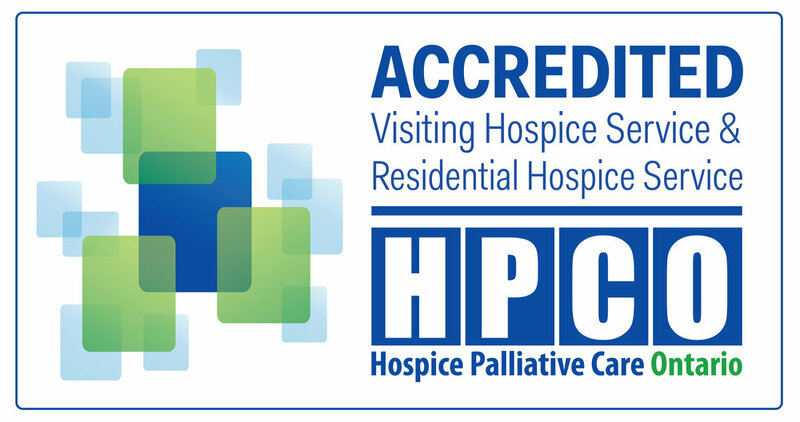 Thus on November 6, 1998, the name was changed to Hospice Georgian Triangle (HGT), an all-volunteer, community-based visiting program providing non-medical support to those with life-threatening illness, or at the end-of-life, and to their families. The need for respite care became increasingly essential in the community, so on January 28, 2000, two suites were opened at the General and Marine Hospital and named the Susie Newton Hospice Suite (SNHS) after the recently deceased Susie Newton, a very active, compassionate and respected member of the Hospice board. Today HGT has close to 200 volunteers that carry out the three basic programs (Home Visiting, Hospice Palliative Care and Bereavement Support) that make its services so highly regarded by the clients and their families.